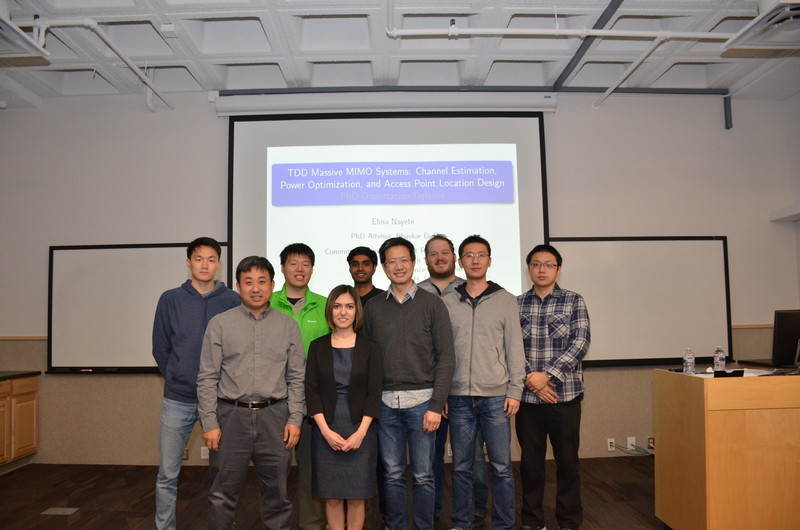 Elina Nayebi successfully completed her thesis defense on Tuesday, December 5th, 2017. Her thesis is titled: “TDD Massive MIMO Systems: Channel Estimation, Power Optimization, and Access Point Location Design”. Congratulations, Dr. Nayebi!